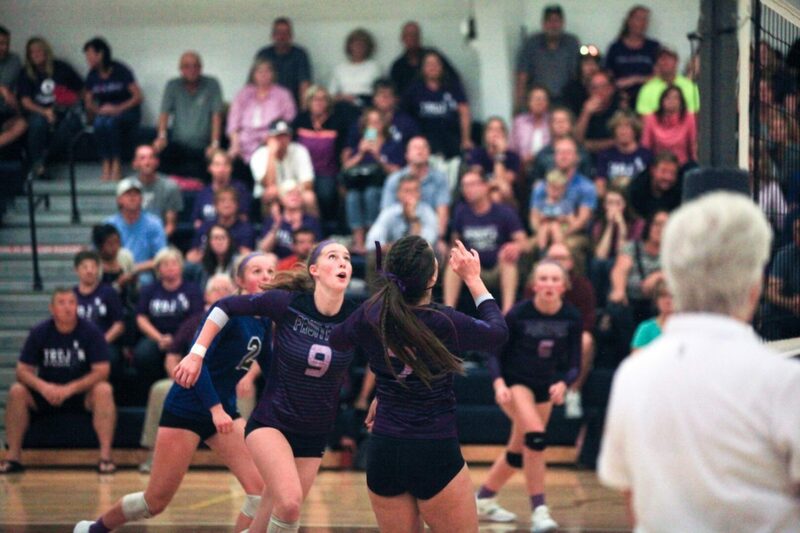 You could see those words plastered all over the Fruitport gymnasium Thursday night, as the Trojan volleyball team hosted its “Purple Game” to raise money for cancer research. You could also see that strength on the court, as the Trojans easily defeated Reeths-Puffer in front of a big, noisy crowd in straight sets, 25-12, 25-18, 25-15. Fruitport improved to 17-6 overall on the season and 4-0 in O-K Black Conference play. Trojan Coach Nicole Bayle thought her players thrived on the energy of the fans. The Trojans appeared as strong as they were expected to be this fall, after reaching the Class B state semifinals last year and returning many players from that squad. They displayed a balanced attack, with several big hitters sharing the offensive load. Kyle Oberlin led the Trojans with 12 kills while Jordyn Carlyle added seven, Sydney Bol contributed five and Makayla Lillmars had four. Kailey Carmean set most of the scoring up, tallying 33 assists. Even with talented and experienced players on the roster, Bayle said her team continues to improve from week-to-week. The Trojans took the first set pretty easily, with five kills from Oberlin and three from Carlyle. Set 2 was much closer, but a solid service run by Carmean helped Fruitport seal the deal. Oberlin and Lillmars led the way in the final set with a combined six kills. While the Trojans fed off the crowd’s energy, the Rockets found it tough to manage. Rykse said he was pleased with the Rockets’ effort. “We were missing our starting libero (Kenna Grant), so without her it’s going to be tough, but I’m proud of how hard our girls played,” Rykse said. 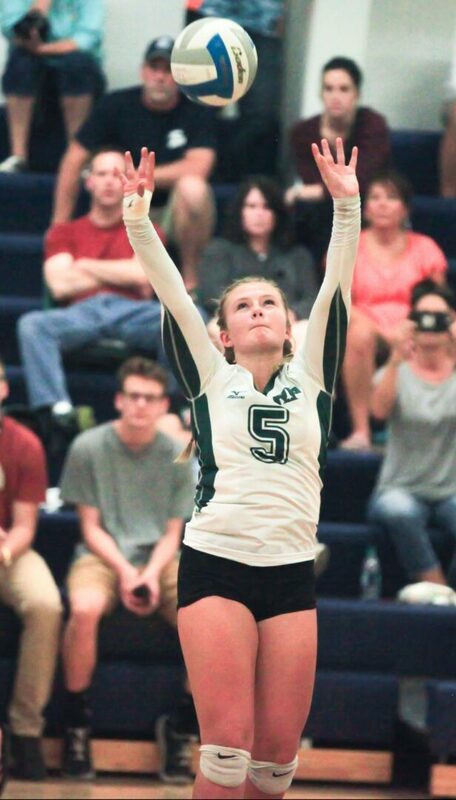 Bridget McHugh led Reeths-Puffer with seven kills while Abbey Mitchelson totaled 15 assists.